I was so delighted when Ekaterina Nikolova sent me these photos of a model she’d made. I think my favourite parts are the book with actual text inside, and the little sandals. Aw it’s cute all over! 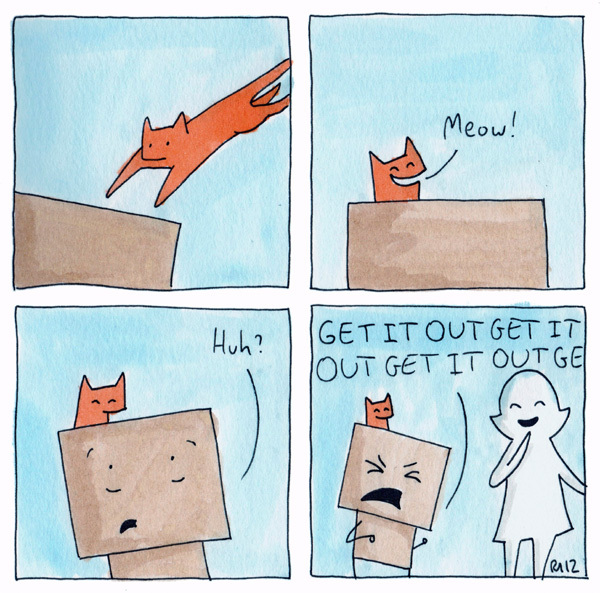 Here’s a comic from Rus, the artist behind Eat Sleep Sniff, which you should check out especially if you like cats. Last one of the day by Rob Cureton. It’s a follow up to the guest comic he did for the 300th Comic party a couple of years ago which you can read here. See you tomorrow for more party comics! And if you want to join in as well, it’s not too late to send me something. Email your fan art or guest comic or anything else to mycardboardlife (at) gmail.com. It’s fun to join in! 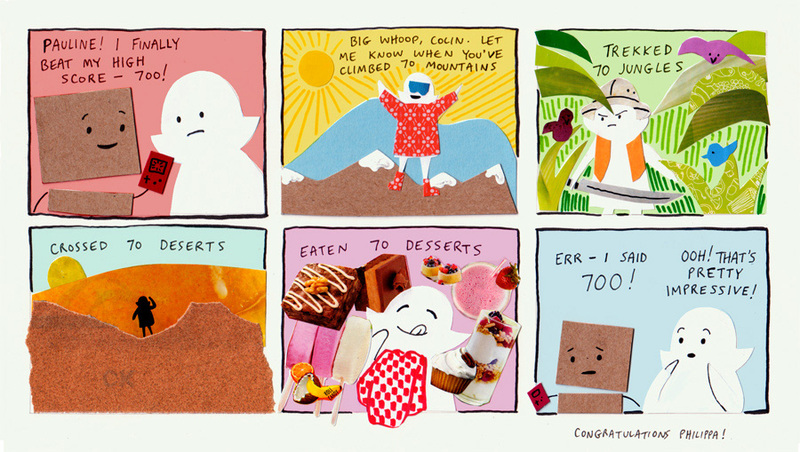 Aw… that last one made me so sad… Poor (crazy) colin.